On 14-16 September 2015, the Safe Food, Fair Food project partners held their final synthesis meeting in Berlin, Germany to share and compile the progress on the pilot intervention studies to improve food safety in livestock and fish value chains in sub-Saharan Africa. We also reflected on the overall achievements of the project and constraints to our mission and shared ideas on further dissemination of scientific results and potential future collaborations. 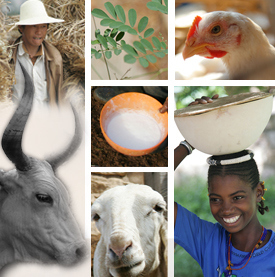 After three years, the second phase of the GIZ-funded project ends in December 2015 but scientific results will continue to be published in the months following and can be downloaded from our online repository. We thank Alexandra Fetsch and Juliane Bräuning for hosting us at the Federal Institute for Risk Assessment as well as Peter-Henning Clausen, Max Baumann and Thomas Alter for hosting us at the Veterinary Faculty at Freie Universität Berlin. 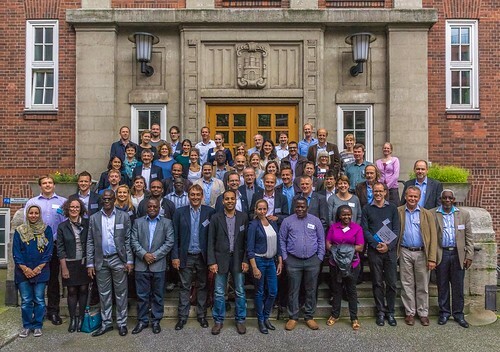 Safe Food, Fair Food project partners who attended a meeting on German-African Cooperations on Infection Research held at the Bernhard Nocht Institute for Tropical Medicine in Hamburg, Germany, September 2015 (photo credit: German Research Platform for Zoonoses/Maike Lamshöft). We spent the second half of the week in Hamburg, Germany attending a two-day workshop on German-African Cooperations on Infection Research organized by the German Research Platform for Zoonoses. The meeting was hosted by Friedrich-Loeffler-Institute for Animal Health and Bernhard Nocht Institute for Tropical Medicine and brought together national and international researchers from bilateral projects and long-term collaborations on zoonoses research in Africa. Safe Food, Fair Food project partners Erastus Kang’ethe from the University of Nairobi, Bassirou Bonfoh from Centre Suisse des Recherches Scientifiques en Côte d’Ivoire and Peter-Henning Clausen from Freie Universität Berlin presented work from the project and other collaborations. Tags: Africa, food safety, informal markets. Bookmark the permalink.